Despite all the efforts of research and analysis which have long been made in the past, ​​by a variety of learned historians and Masonic specialists, no one can, even today, attempt to draw up a complete and undeniable history of universal Freemasonry. No one can yet say, without a strong risk of error, that the stonecutters, masons and builders of gothic cathedrals, castles and various buildings were once Free (Stone) Masons rather than Masons... free of birth, body and serfdom. What is possible to accept, because it is relatively easy to determine, is the medieval era, so conducive to the construction of great religious and seigniorial buildings, saw the birth and development of various and numerous companies, guilds, associations or brotherhoods; motivated by social or corporate obligations, which brought together lords, masters, feloows and apprentices on whom they imposed the principles of virtue, integrity and ethical behavior, both secular and religious. There is apparently no historical and societal connection between the Bolognese Masters of the Wall, living in the thirteenth century; the Scottish operative masons working, under the authority of William Schaw, in the late sixteenth; and the early members of the Ancient and Right Worshipful Fraternity of Free-Masons, who celebrated the St. John the Baptist’s Day in London, in the year 1717. It seems, however, that all these men – devoted to the material or moral construction of human Society – were animated by the same determination, the same faith and the same desire to achieve the same spiritual Truth. 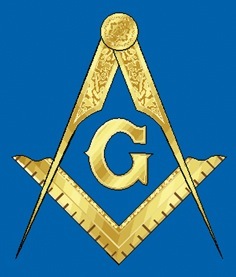 The important thing for today’s Freemason is not so much to know for sure where he comes from, but to discover and understand the motivations of the Masters of thought and action who have long since disappeared, but who used during their lives – in one way or another –, the same tools, and the same symbols as those which continue to offer lessons in the present Masonic rites and rituals. This is the reason that led us to conduct a thorough reading of the available texts relating to Masonry written by medieval societies, building and corporative fraternities. We deliver in this book, the most significant part of them, in the evident incapacity to reproduce all in their entirety. Our begins with Bologna’s Statutes of the Wall Masters, dated 1248 and ends with the first book revealing the practice of the three symbolic degrees of modern Freemasonry: Masonry Dissected, by Samuel Prichard (1730). We found it necessary to include in our work the full text of James Anderson’s Constitutions (1723), still considered a fundamental Charter by Freemasons of all countries. In our translations and transcriptions (many of them unpublished until now) we have tried to be faithful to the original text, while making use (with as much simplicity as possible) of contemporary language; allowing readers to determine freely and draw their own conclusions about the real origins of Freemasonry, as we know and practice it today. 1. - In the medieval times, continental Masons were gathered in a Franc-Mestier (Free-Craft), with special charges and rights; in 1315, King Louis X,“The Stubborn,” banned serfdom all over the French royal lands: so all his subjects became Francs (free of serfdom) men. 2 - In the same period, in Britain, only qualified Masons were authorized to cutter and carve the free stone, a stone without any grain, proper to carving. Another clue may be found in this book: according to the Old Charges, in the old times, a Mason had to be free of birth and free of service; so he was, undoubtedly, a… Free Mason. the documents presented on this Web Site.